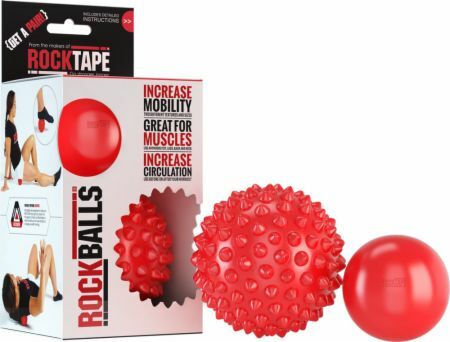 RockTape RockBalls at Bodybuilding.com - Best Prices on RockBalls! RockBalls are a great way to perform self myofascial release with pinpoint accuracy. They are sold as a pair and feature a large spikey ball, a small smooth ball and an instruction book with release trigger points and mobility exercises. Two is definitely better than one. The 3.5″ textured ball and the 2.5″ smooth ball give you two tools to break through tough tissues. Included with every RockBalls is our Movement Manifesto features a multitude of corrective exercises and tissue release techniques. Corrective exercise can and should be performed anywhere and everywhere. Keep your RockBalls at home, in the car, or even travelling.